I’ve always loved fashion and shopping but nothing ever prepared me for the obsession that is baby clothes. There is way too much cuteness out there. I hardly even care what I wear anymore, I have way more fun putting together Cielo’s outfits. My latest hobby involves filling my virtual shopping carts with every article of teeny tiny garments I lay my eyes on and then restraining myself from hitting “purchase” on all of it! Let me tell you friends, it is hard! I’ve been discovering so many baby boutiques online that make unique and darling clothes for little ones…and I want it ALL! 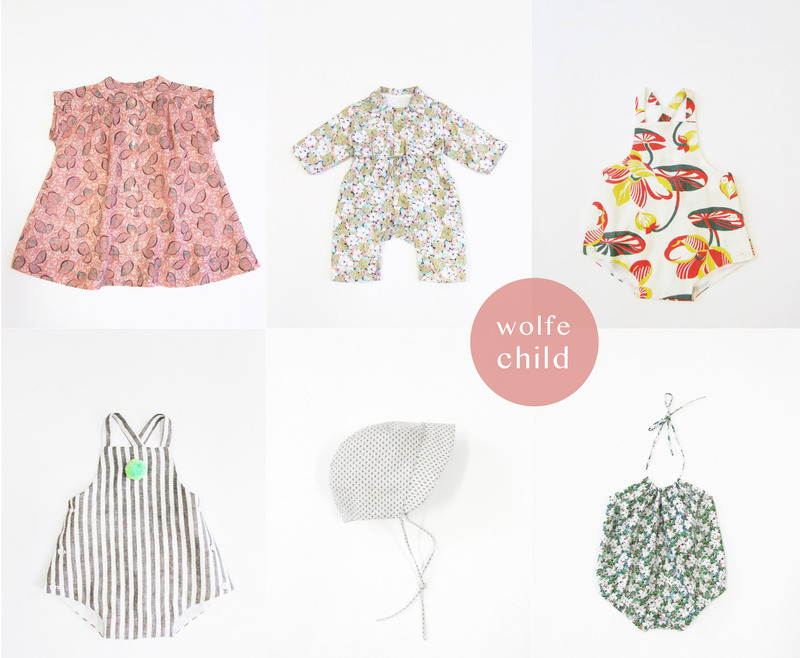 I’m especially smitten with Wolfe Child by Illinois-based designer, Claire Wolfe Bookmeier. Each piece is handcrafted to adorable perfection. Head over to the Wolfe Child shop to see more. Baby clothes are just too adorable! My bub is due in March and I cant wait to start buying all the cute things I see online! So cute! Love that baby bonnet! So cute! I’ve been told I’m only allowed to buy practical stuff. Good luck with that 😜!! There might be a few bags stashed at the back of the wardrobe! Yep!! That sounds about right! There’s always the option to sell some of the more pricey items. That’s how I usually convince myself it’s okay. Or the whole “they’re heirloom pieces for when Cielo has babies…” Bu that one rarely flies with my husband! The style of your blog is so cute! Love it! Reblogged this on Rep Your Brand. I don’t have a baby, but I’ve loved browsing through baby clothes since I was a toddler. No joke!